Our Dawn linen makes a beautiful additional to any nursery. The Dawn fitted sheets are handmade using medium weight digital print, 100% cotton fabric. 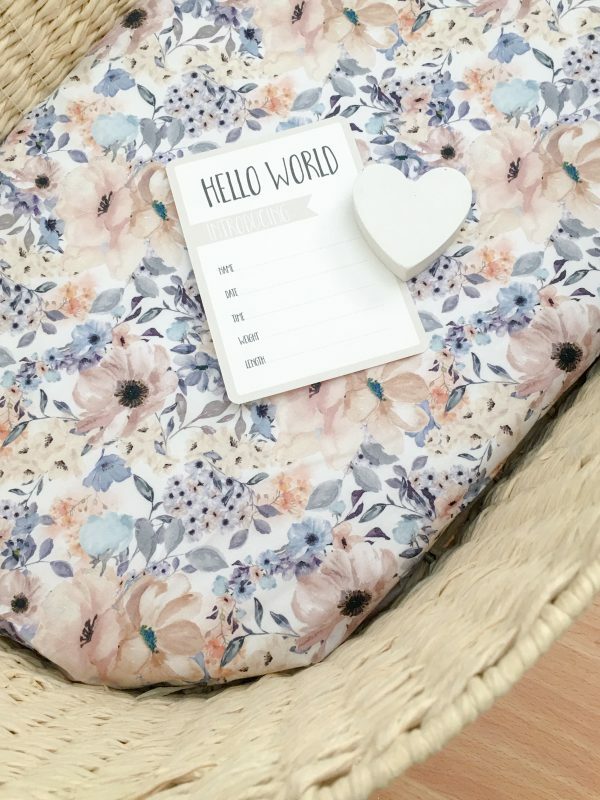 The edges on the round mattresses (moses basket) are neatly overlocked with the elastic fully encased around the entire sheet, ensuring a great fit. The bassinet and cot sheets include French seams on the corners for durability and a double fold hem encasing the elastic around the entire sheet.